Do I get less space if I need electricity? Yes. This is due to the number of outlets (few) and the layout of the exhibit hall. We suggest charging computer laptops before you arrive, if that is the only reason you need to have electricity. Why are there two sets of safety guidelines? One set of safety guidelines refers to the time during which you are doing your experiment. The other set of safety guidelines refers to what you can bring the day of the science fair as part of your project display. Some of the guidelines overlap, but there are differences, so be sure to look at both sets. On the day of the science fair, there will be safety checks of all projects before the judging takes place. Can I use any rating level of video game, movie/video clip/music in my experiment? No. The ratings must be appropriate for middle school student experimenters and their subjects. Music – The title, lyrics and artist must be submitted for approval prior to beginning the experiment. Do I need “human consent” forms even if I am just observing people in my experiment? Yes, the people you are observing need to give their permission to be observed, even if they might not be aware that you are doing it. If you observe people who are under 18, you need to have their parent/guardian sign the Human Consent Form. Can we use compost in an experiment? Can I observe food spoiling under different conditions? No. There is a possibility that the experimenter may unknowingly cultivate harmful microorganisms that could cause disease or allergic reactions. Can I do an experiment to find out if there are bacteria on doorknobs, countertops and bathroom surfaces? No, absolutely not. It is not safe to grow bacteria from either an inside or outside environment. The reason for this safety rule is that the bacterial or other microbial species is unknown and could be disease causing, thereby posing a health risk for the experimenter. What can I do if my school does not participate in the science fair process? You can still participate if your teacher will review and sign all the necessary forms for you to register for your regional and/or the MSEF state science fairs. Remember you will be responsible for understanding all the safety rules, deadlines and for making sure all required forms are submitted on time. Are there any restrictions on what I can bring the day of the state fair? Yes, there are some that are due to space limitations, to restrictions of the venue and for safety at a public event. You can find a list of prohibitions here. Can my parent be my designated supervisor? Yes, at the middle school level, a parent may supervise a student’s project if the parent has the expertise to do so. Do I need any approvals before I begin my projects? Yes, your research plan, Forms 1A and 1B (and C and D if necessary) need to be approved by your regional fair safety committee to be sure that your proposed project follows all safety rules. 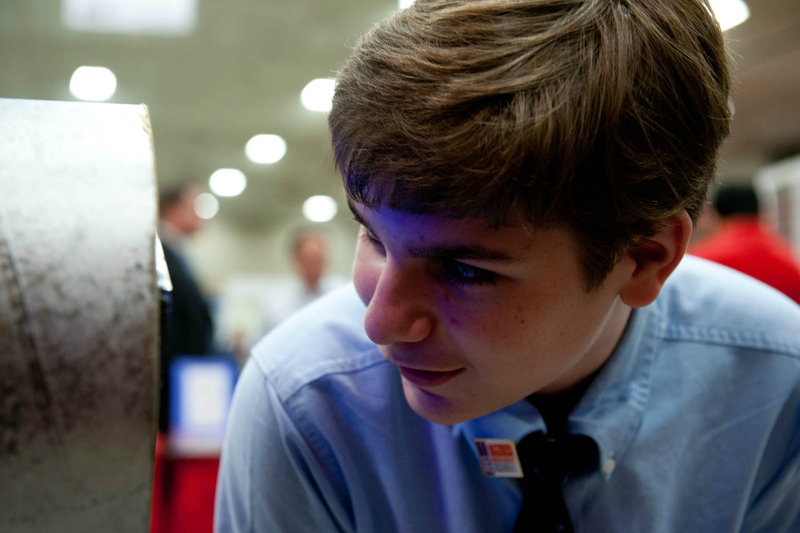 If you move on to the State Science Fair, your project will be checked again for safety. Is it OK under the safety rules to do experiments about chewing gum since gum is not swallowed? No, any experiment that involves putting anything in the mouth, on the tongue or teeth is not allowed. What is the Broadcom MASTERS? The Broadcom MASTERS (“Math, Applied Science, Technology, Engineering Rising Stars”) is a relatively new national competition for the top 10% of winners from all middle school regional and state fairs. Students with qualified projects receive a certificate and information about submitting their projects online. It is the student’s responsibility to submit their project by the deadline. You can find out more about Broadcom MASTERS by going to the SSP website. Once I know what region my school is in, how do I find the contact information for the regional chair and when the regional fair will take place? Here’s a list of the six Regional Fairs, including contact information & upcoming fair dates. How do I know in what region my school is located? Here’s a list of the six regions and the towns included in each one. May I start my project in the summer before the school year starts? Yes, you may, but you should send your Research Plan Form 1A and B and (C and D if needed) to your regional fair chair to be sure you are doing a safe project for a middle school student. You may also send the forms to the MSEF Middle School Division Directors, if needed. On the Registration Form there is an abbreviated checklist of projects that are not allowed. A detailed description of the safety restrictions is described in the MSEF Middle School Manual. It is better to check before you start your project so you won’t be disqualified for safety reasons after you do all the work.